The legendary rock icon released his 25th album, Blackstar, on his 69th birthday Friday, just two days before his death. 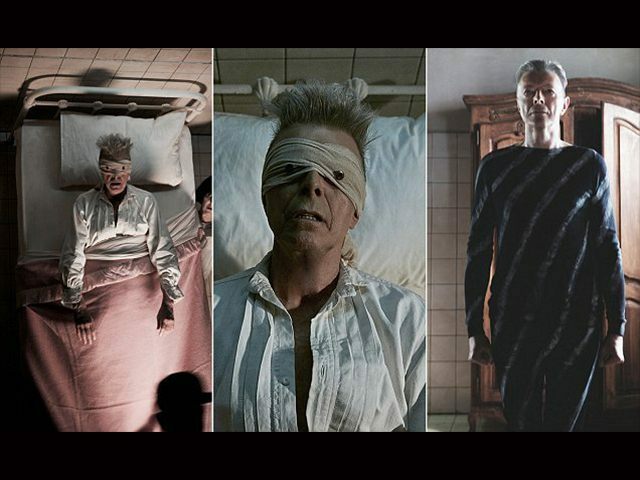 While Bowie’s passing might have come suddenly for his fans, the music video for the song “Lazarus” makes it apparent that Major Tom knew he was near his end. At the end of the video, he retreats to an armoire and closes the door. “He always did what he wanted to do. And he wanted to do it his way and he wanted to do it the best way. His death was no different from his life – a work of Art,” Visconti wrote on Facebook early Monday. “He made Blackstar for us, his parting gift. I knew for a year this was the way it would be. I wasn’t, however, prepared for it. He was an extraordinary man, full of love and life. He will always be with us. For now, it is appropriate to cry,” Visconti wrote. As UK Independent notes, the title of Lazarus refers to the biblical character Lazarus, who was brought back to life four days after his burial, as one of Jesus’s most prominent miracles in the Book of John. The term is often used in pop culture to signify the restoration of life. Backstair is currently at no. 1 on the iTunes chart in the U.K. and no. 2 in the U.S. The album was recorded over a three-month period at the beginning of 2015.